Hyundai unveiled the RN30 concept car at this year’s Paris Motor Show. Based on the new generation i30, it points towards to the creation of the car maker’s performance N-division – as well as a possible return to motorsport. 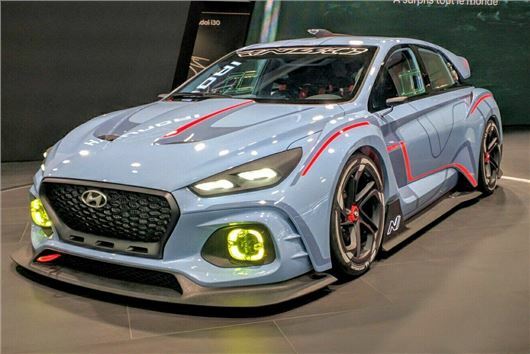 But while the RN30 gets a full aero kit, bucket seats and roll cage – the i30N will have to make do with a lowered stance and more aggressive styling. Although both are expected to use a high-power version of Hyundai’s 2.0-litre four-cylinder engine. The RN30 concept claims an impressive 375PS and 451Nm of torque, with power being driven to all four wheels via a dual-clutch race gearbox. It also has a variable exhaust, bucket seats, racing harness, and race steering wheel. Due for launch next year, the i30N won’t be as full-on as the RN30 concept – but it will do doubt pick up on a few of the features. Hyundai says it is committed to producing a great driving machine.